Korean and Japanese barbecue are two different ways to cook meat and sometimes vegetables, but they have a lot in common. Both are traditionally cooked using different fuels including charcoal, gas, and electricity. How do they differ? Are they interchangeable? These questions and more are answered below in another BBQ Showdown. What is the difference between Korean barbecue and Japanese barbecue? When comparing these two types of barbecue, we are actually comparing a number of different barbecue subcategories. First, Korean barbecue can be divided into two main categories called bulgogi and galbi. Bulgogi is made with beef sirloin or tenderloin. The meat is sliced thinly and marinated. Marination is an important step. Galbi is made with beef short ribs. Bulgogi is the most popular form of Korean barbecue and the one with which westerners are more likely to be familiar. Japanese barbecue has its own subcategories as well. These include yakiniku and teppanyaki. The former is believed to be of Korean origin and there is even yakiniku done in a bulgogi style that is formulated to appeal to the Japanese eaters. Teppanyaki simply means food cooked on an iron plate. Korean barbecue is usually served with a wider variety of sides than Japanese barbecue. Korean barbecue can come with everything from kimchi to dried squid and more. These side dishes are called banchan dishes. Japanese barbecue will typically just be a selection of raw vegetables served along with the meat. Korean barbecue relies heavily on marinades for flavor, whereas Japanese barbecue is more sauce-oriented. Dipping sauces consisting of soy sauce, mirin and garlic among other ingredients are the most common accompaniment. While beef is a popular meat for both barbecue styles, Korean barbecue also has pork and chicken prominently. Japanese barbecue is far more beef-focused, with chicken being relatively minor. Yakitori is Japanese grilled chicken served on skewers. Korean barbecue is heavy on the marinades and does necessarily involve using only the highest quality meat. It is not likely to be mistaken for Japanese barbecue, nor will it satisfy someone seeking the clean flavors and beefy intensity that Japanese barbecue has to offer. Japanese barbecue’s focus on the taste of the beef. The Japanese take their beef very seriously and the different forms of Japanese barbecue reflect that. This means that marinades are not used in most cases and the traditional sides may not be particularly exciting. Japanese barbecue may not be the best option for someone seeking a meal with diverse flavors. All that said, they both involve grilled meat and Asian flavors. If you are not familiar enough with either to be picky, both can provide an enjoyable experience. When should you use Korean barbecue and when should you use Japanese barbecue? Use Korean barbecue if you want to enjoy the array of side dishes and want the flavor of well-seasoned meat. Korean barbecue is for the adventurous eaters who want excitement for their taste buds. Japanese barbecue is best reserved for the highest quality beef, which you will cook using the best fuel. While there will be dipping sauce, it is the beef that is the star of the show. Arguably, nothing less than wagyu beef cooked over binchotan charcoals will do. In other words, both the meat and the fuel will be on the pricey side. 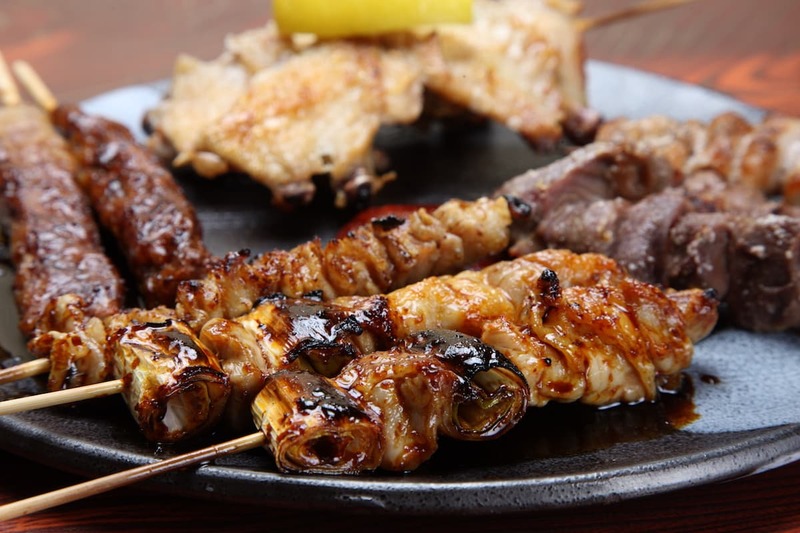 You may want to opt for Japanese barbecue only for small get-togethers rather than for larger groups.